In loving memory of Miss Helen Margaret Potter who passed away at Teck Pioneer Residence, Kirkland Lake, on Thursday, May 31, 2018 at the age of 92. Helen was very loving, kind and always helpful. Loved to be a help to others. Pre-deceased by her parents William and Lilt Potter, her brother John Potter and sisters Eileen Freeburn and Mary Nowry. She is survived by brother & sister-in-law Philip & Helen Potter and several nieces and nephews. 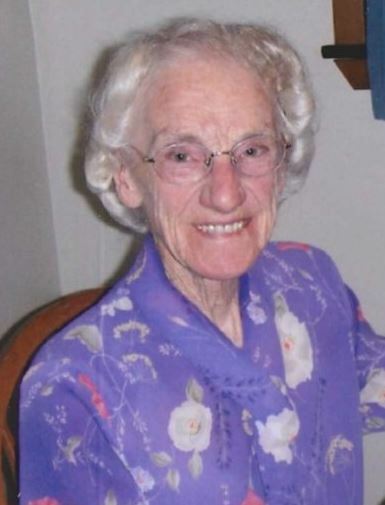 The family of the late Miss Helen Margaret Potter will receive friends at the Earlton Gospel Hall on Monday, June 4, from 1:00 - 2:00pm Funeral Service will follow at 2:00 pm. Stan Fergusson officiating. In memory contributions to Gideons will be greatly appreciated. Condolences, contributions and memorial candles may be left at www.mcdonaldfuneralhome.ca. To send flowers to the family of Helen Potter, please visit our Heartfelt Sympathies Store.